Verizon's VP of network engineering is a chap by the name of Mike Haberman. Mr. Haberman was explaining why Verizon has had three outages this month on its 4G LTE network and says that as the pioneers in the industry, it will suffer from growing pains. On a more technical level, the outages were due to bugs in Big Red's IP Multimedia Subsystem (IMS) core. The first outage on December 7th was due to the failure of its back-up communications database. The December 21st outage occurred because of an unresponsive IMS element. The third outage took place on December 28th and the fault was the failure of two IMS elements to communicate properly. Once the problems were corrected, the bugs did not return but customers were unable to access the LTE pipeline (and even the 3G pipeline in some cases) even though both networks were up and running. One thing that Verizon has started doing is segmenting the 4G network into smaller areas so that if there is a problem in one area, the whole LTE network isn't dragged down. Haberman says Verizon's goal is to make sure that it's 4G network has the same high level of service that Big Red's 3G network offers. He says, "We're not there yet, but we'll get there." Verizon touts its network as being the most reliable and when you put yourself out like that, you need to deliver. Considering the large number of activations that Verizon had to deal with over the last few weeks, it sure doesn't look good when a new 4G customer turns on his phone and the network is down. If there is one good thing that came out of the three outages, it is that Verizon was able to figure out what caused them, which should allow the carrier to install the proper safeguards to prevent the same exact conditions from repeating. A Tech Support person told me, at least for Phoenix, that the network was being overloaded by the surge in people buying LTE devices for the holidays and to expect more 4G outages along with calling/texting problems. He also mentioned from now on they won't waive cancellation fees for these types of problems because its a "technical issue" that will be fixed by 2013. Hope the Tech Support person is wrong because if it wil be fixed in 2013 yet, that's a long time to go! And if it's their problem and not the customer's, maybe they SHOULD wave cancellation fees! Because the only other carrier rolling out LTE is AT&T and they've just recently launched it in a few places, it's too new to hear anything about. What it goes around comes around Verizon you made a lot of fun of AT&T when they got the exclusivity on the Iphone, now is happen to you with the network expected to be superior.......next time keep your mouth shut cuz you are far from perfect....!!!! At least Verizon fixes problems, unlike AT&T. Remember the whole iPhone fiasco with AT&T's network crippling under all that data usage. Instead of building infrastructure they started putting caps on data. The improved their network and the GSM iphone 4 was proven the cause of all droped calls And don't forget VZ cap their data too....!!!! VZW is learning lessons about rolling out their LTE network (segmenting to contain the damage into a smaller area) that will stand them in good stead going forward. I don't see AT&T or Sprint being able to leapfrog VZW in rolling out their respective LTE networks. At least Verizon is rolling out LTE faster than the other carriers, you gotta give them credit for that. And of course there's going to be bugs along the way, that's just how things go until they iron everything out as the go along. @TKF - VZW is applying the lessons (smaller segmentation to contain the impact of any failures) they are learning from their rollout. Do you think AT&T would do the same? Based on the dropped call experience, I doubt it. 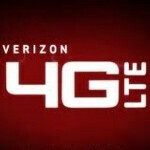 IMO, LTE is going to be a significant differentiator for VZW. I don't think AT&T would do it. I'm on Verizon's side on this because they're Rolling out LTE faster than other carriers and making actual progress. And with all the bug squashing they're doing I'm glad they're applying the lessons they've learned, this is just how things go when you bring in something new. Huh, what does an 80's Alan Thicke sit-com have to do with service outages? !